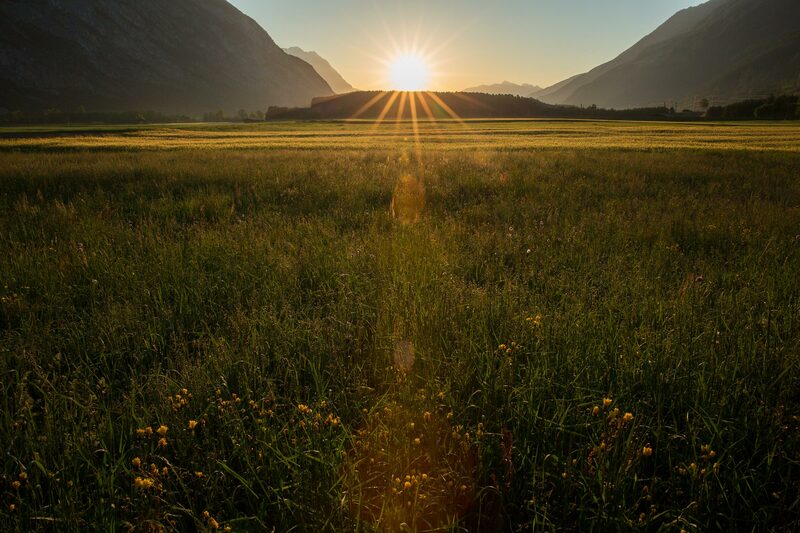 Get to know the valley like the back of your hand on the scenic Ötztal Urweg Trail: a long-distance hiking route in 12 stages, winding its way through the entire valley – from the valley bottom at 684 meters altitude to 3000 meters above sea level and beyond. Your constant companion and pacemaker: the bubbling Ötztal Waters. Sometimes wild and sometimes quiet, the mountain brooks and lakes are perfectly reflecting the contrasts of Tirol’s longest side valley. Thousands of splendid impressions await hikers on this more than 195 kilometer long circular route. Come and join us on our introductory tour featuring 12 unforgettable moments. 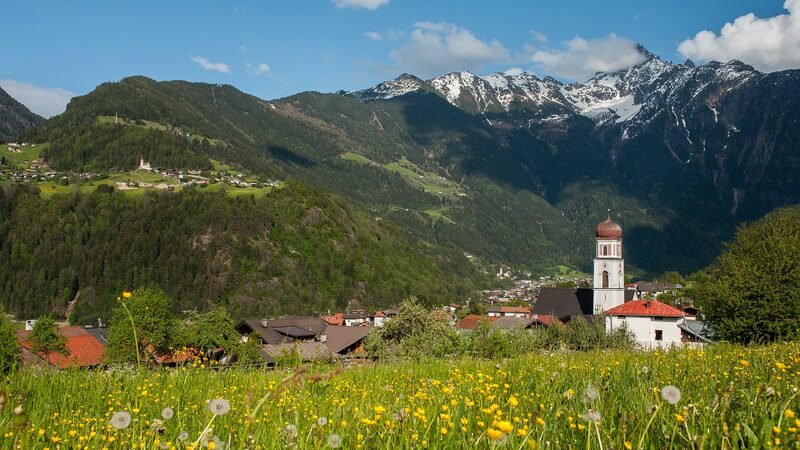 The first stage leads from Oetz through the upper hamlet of Oetzerau with lush green meadows and steep grass slopes. From here you enjoy picture-book views of the valley (and the hiking trail to be conquered) and you can also take a glimpse into the past: the ruins of Auenstein Castle which was a former court seat in the period around 1200 AD. But open your eyes: the castle can hardly be seen because it is overgrown with lichen and other plants! 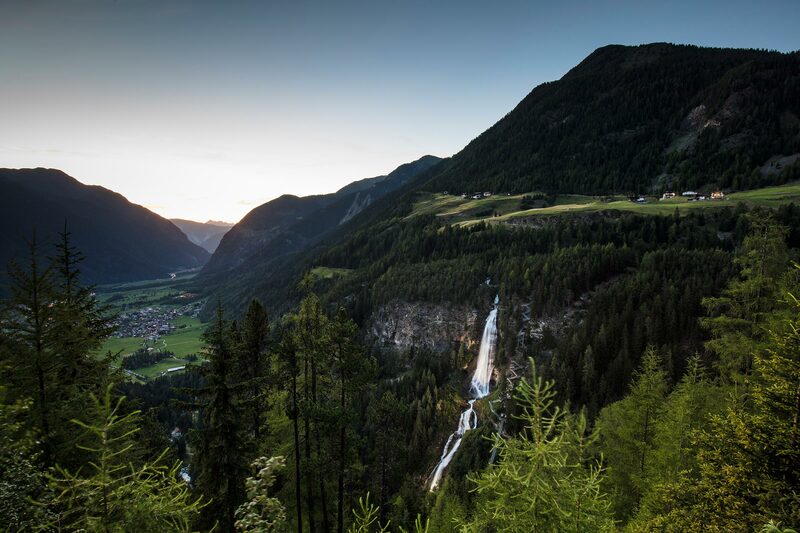 The undisputed highlight of this stage: the Stuiben Falls, Tirol’s biggest waterfall! 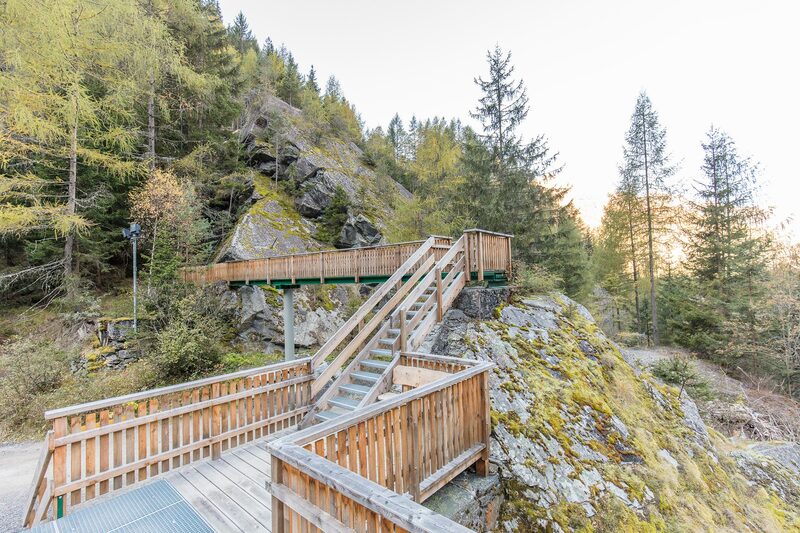 On a recently built trail and step construction hikers can explore the 159 meter high waterfall close by – thanks to approx. 700 steps and an 80 meter long suspension bridge. 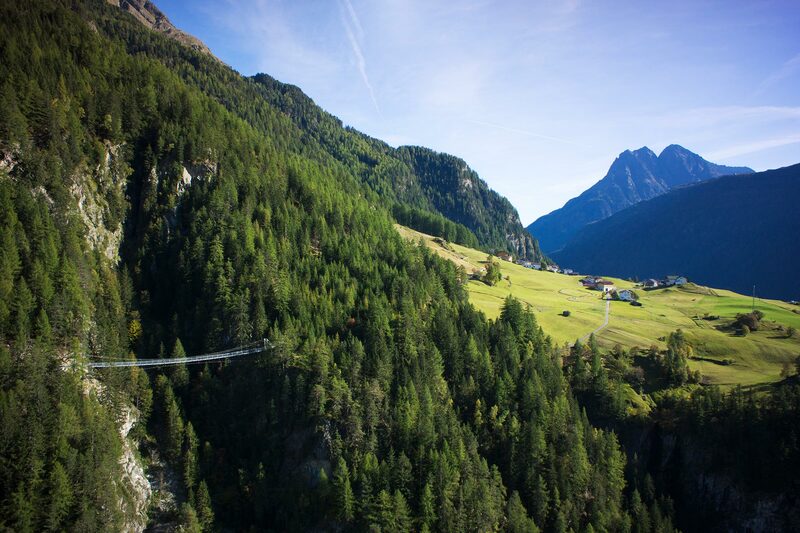 If you want to get even closer to the Stuiben Falls choose the spectacular via ferrata, including a tightrope adventure! The third stage takes you from the secluded hiking village of Niederthai to Gries. In between: pure idyll and genuine Alpine landscapes on the way to Wiesle-Alm with its small chapel and the Hemrach pasturelands in full bloom. Then you reach the rushing Fischbach brook (the largest feeder of the Ötztaler Ache) and its retention basin which protects the village of Längenfeld from the thunderous masses of water. 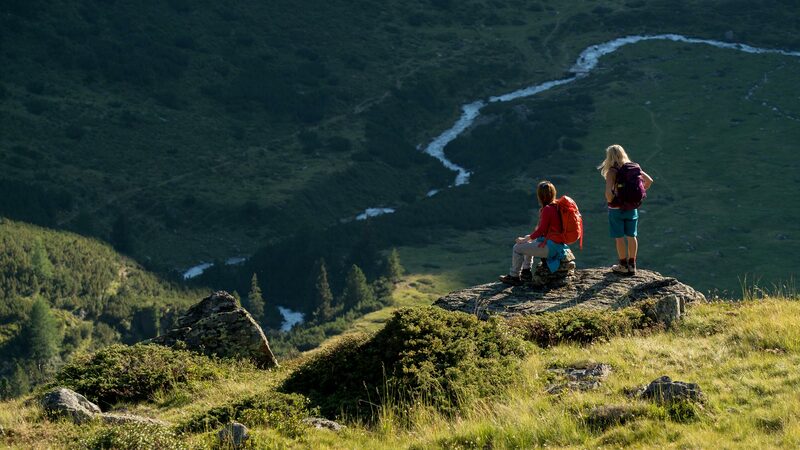 In the central valley near Längenfeld the landscape opens the heart of every hiker. 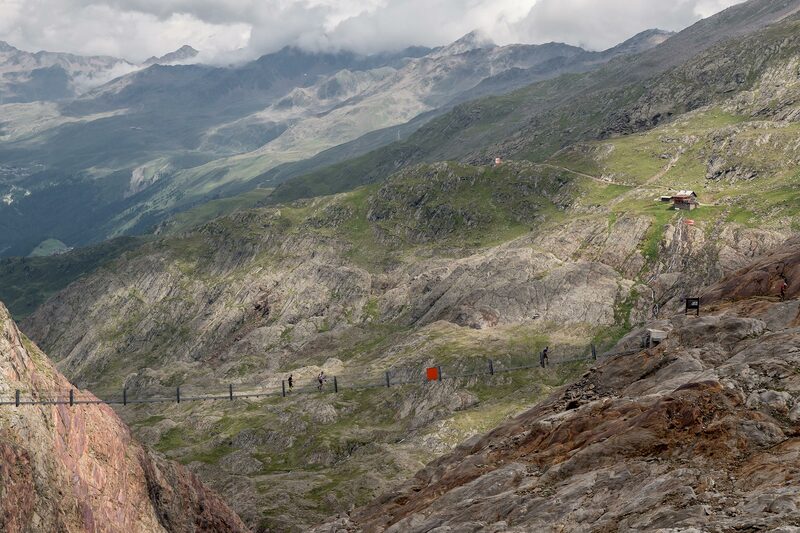 The two high Alpine plateaus of Brand and Burgstein, which are connected by a 200 meter high suspension bridge, make a unique spot to admire the wide open valley basin. Enjoy a short rest stop and simply “hang out” for a while. 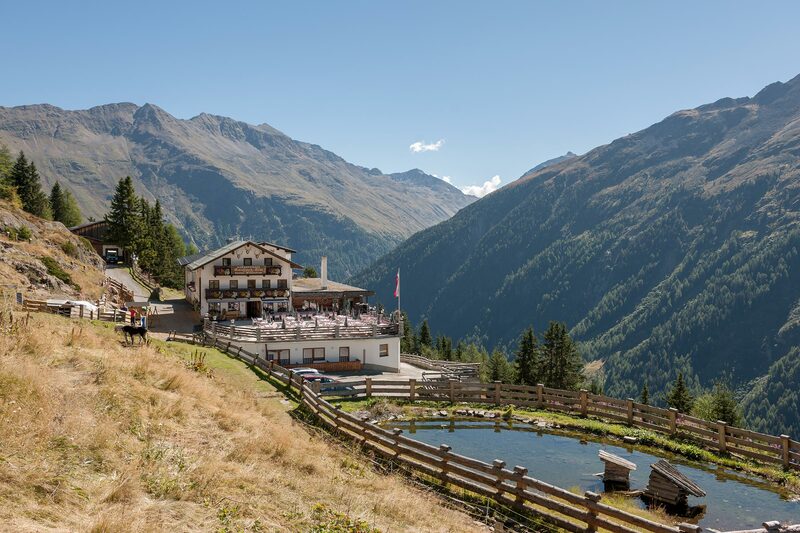 The fifth stage from Sölden to Obergurgl travels along leisurely trails and secluded paths on Sölden’s Silent Part where you won’t find mountain lifts and restaurants. 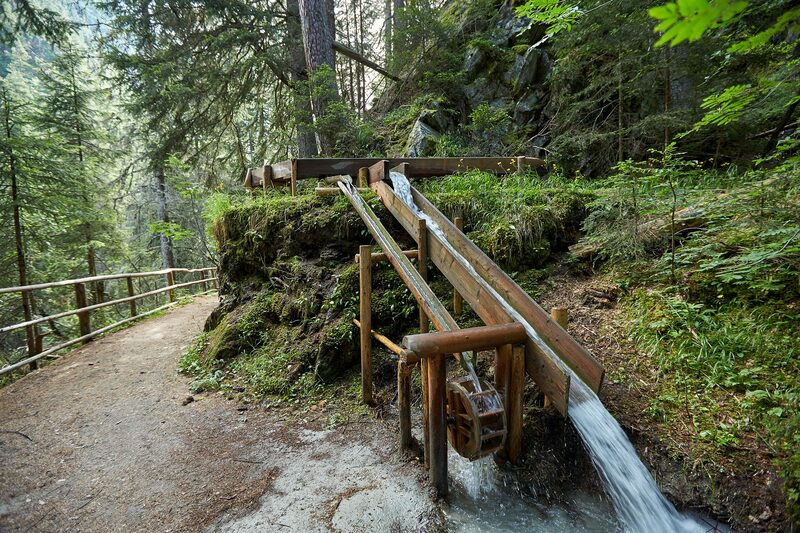 But there is something historical about it: for instance the “Mooserstegle” water trail is one of the important irrigation ditches called “Waale” – they were built in earlier times for watering the fields and draining the water directly to the dry areas. And they still work today! At Ramoljoch col, halfway between Obergurgl and Vent, you reach the highlight of this loop tour at 3187 meters above sea level – probably you can’t go higher! Everyone with a good head for heights is recommended to take a detour to the new Piccard suspension bridge. The 100 meter high bridge was erected in the summer of 2016. Although it is not directly on the Urweg hiking route / stage 6 you can reach it quickly. (The bridge is passable from the beginning of July to the end of September). Vent, located at almost 1900 meters altitude, can be described as a place of longing for mountaineers and alpinists. In summer (and winter alike), the contemplative mountain village resembles a base camp for hikers and mountaineers – carrying monstrous backpacks – who set out in the early morning hours to conquer the countless 3000 meter high summits in the immediate surroundings. Such as the Wildspitze, North Tirol’s highest mountain. The “spirit” of Vent can be experienced close by in the Mountaineers’ Chapel even if it makes you shudder: in earlier times the chapel served as a place of rest for victims of Alpine accident. 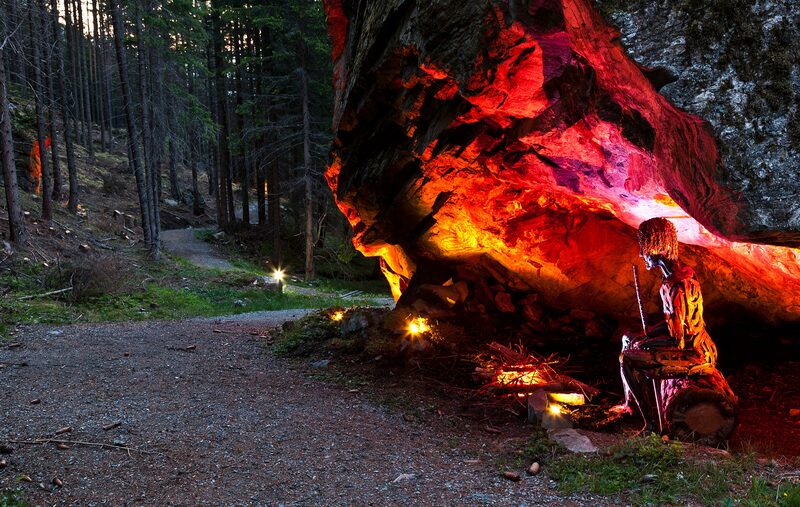 There is “olm” (always in Ötztal dialect) time for visiting a traditional Alm! Especially on stage eight of this hike. It travels from Zwieselstein to Granstein, and thus from one Alpine pasture hut to the next. 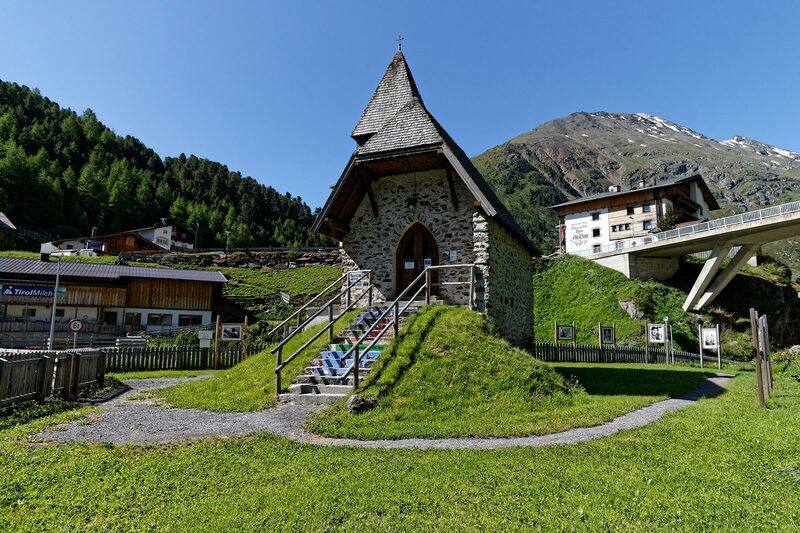 ALMZEIT is a family theme hiking trail that gives a deep insight into the huge variety and nature of the valley’s huts and Alpine pastures surrounding Sölden. For example Gaislach Alm: here you can enjoy pony riding, a petting zoo and a trout pond. On the western part of the valley you walk northwards to Längenfeld, the destination of the ninth stage. 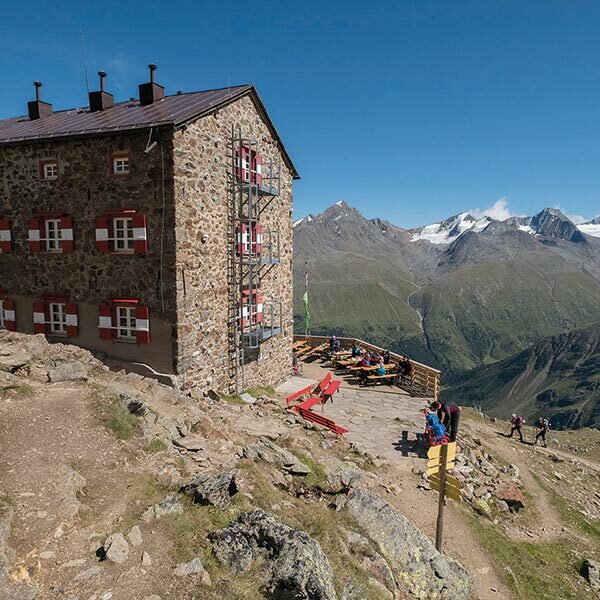 Stage 9 leads past the starting point of the Trail of Ötztal Legends – and a detour to the mystical path and the Feuerstein inn is well worth it! The artist couple Annemarie and Günther Fahrner have created 14 mythic stations from scrap metal, featuring life-size and amazingly lively figures. Signs tell you more about the legends, such as the Fight of the Giant, the Wild Little Man or the Engelswand Rock Face. On the tenth stage water is again the prevailing element. This time not loudly rushing but gently bubbling at fabulous lake Winkelbergsee. 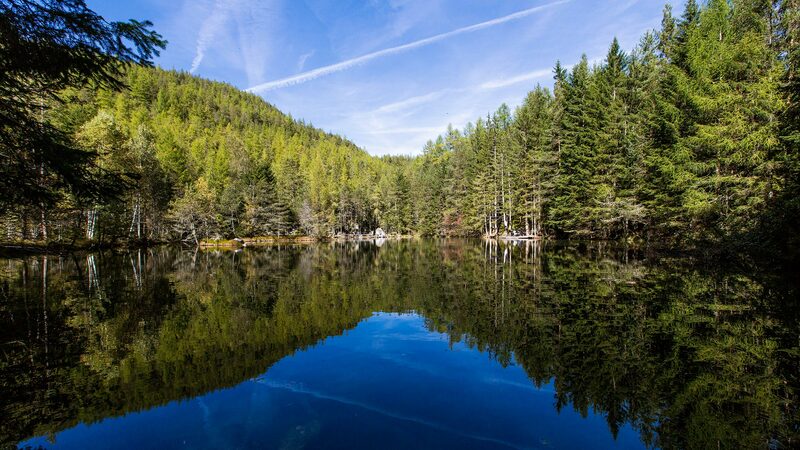 The shallow mountain lake nestles amidst a 10,000 year old rockslide area and invites you to dive your tired feet into the refreshing water – before you continue towards the hamlet of Köfels that towers high above the valley on a lovely Alpine plateau. Also during the eleventh stage water is omnipresent. In addition to Ötztaler Ache also lake Piburger See, the landmark and natural jewel of the Oetz Holiday Region, accompanies you all day long. 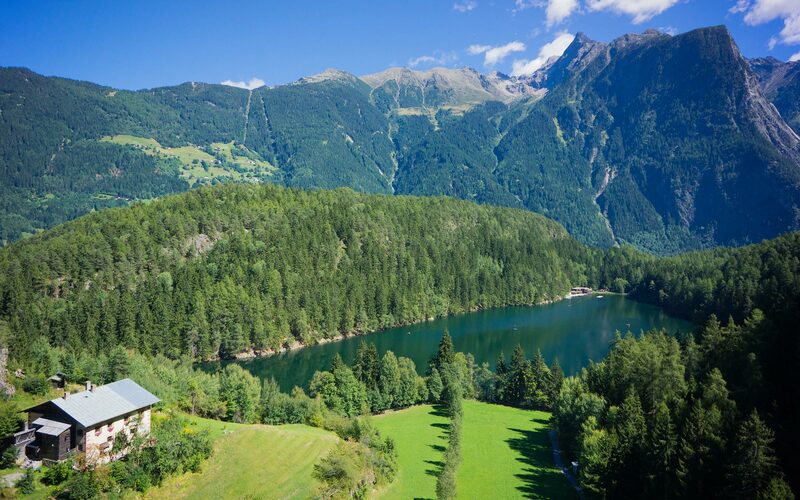 The natural lake which can reach up to 24 degree Celsius in summer, ranks among Tirol’s warmest swimming lakes and makes a popular destination for locals and guests alike. Even in winter when ice skaters conquer the frozen lake.